I’m traveling for the weekend quite often, flying around on a monthly basis for work. Everyone knows that you can carry limited quantities of liquids through airport security when you are only allowed to bring hand luggage. Liquids may only be carried in containers holding 100ml or less. HELP! One thing that causes some stress on a female traveler would probably be about packing those liquid toiletries right? How can you bring all your favorites toiletries? It already happened to me a couple of times, when I start packing my bags in a rush and totally forgot to check the quantities. I had to say goodbye to some of my favorite (and very expensive) creams at the security. But this will not happen to me again! 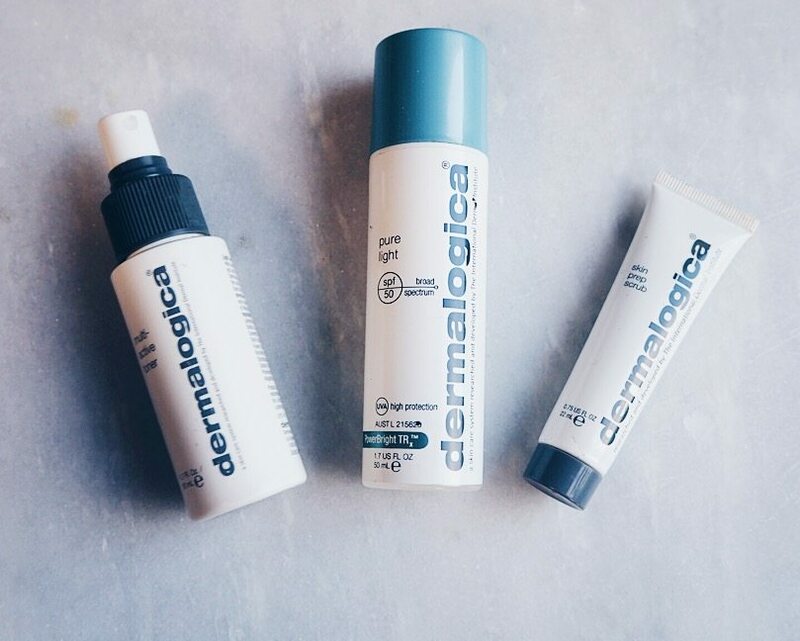 Luckily our favorite brand Dermalogica came with Travel Skin Kit options. 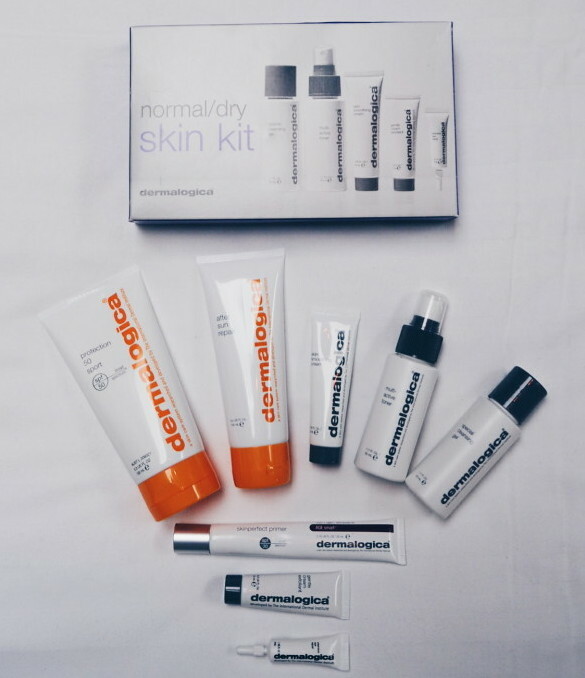 This Dermalogica Travel Skin Kit basically contains a full regimen of what your skin needs most, wherever you’re going! For £26.35 you get a cleanser, toner, scrub and active moist. 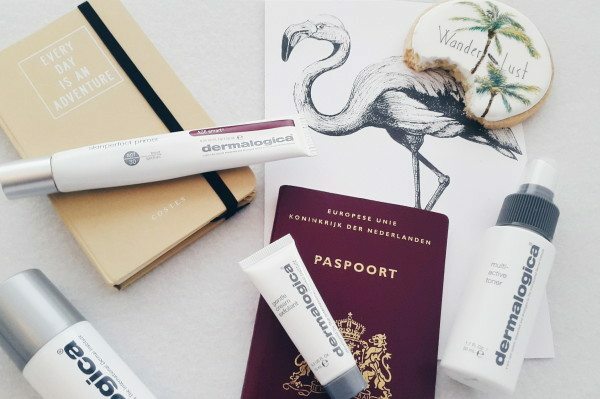 There are several travel skin kits available. One of our favorites is the multi-active toner. The air at high altitudes has very little moisture, it makes the cabin air dry. Your skin gets dehydrated and this toner has the perfect solution for it. It helps the condition and prepares the skin for proper moisture absorption. Arnica and Cucumber extracts help to keep the skin smooth and refreshed. Spray directly over the entire face and throat with eyes closed. 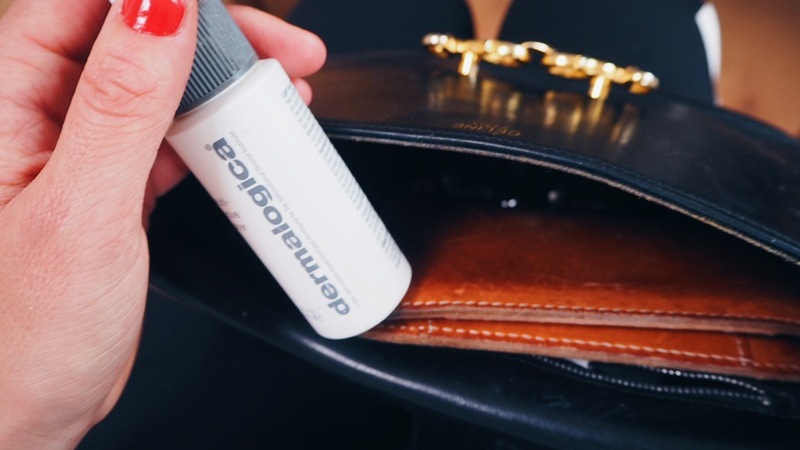 Handy for in your bag! » Sleep with your hair out of your face. Many of us use oil and hair care products. Make sure to pull all of your hair off your face as it can be harmful. » Make sure that your moisturize has SPF of 30 or higher. It isn’t just for vacation, it’s your best weapon in the fight against wrinkles and sun damage. When you get out of the plane and your skin is exposed with daylight, it’s very important that your skin is protected. Don’t forget your chest and the top of your hands (which most people forget). » Don’t pick at your face. You see seriously everything in the lights of the toilets. Most of us know we shouldn’t do this, but lots of us do it anyway…. Good luck and let me know if it helped you!